Titanic seal-like animals that inhabit the frozen wastes. 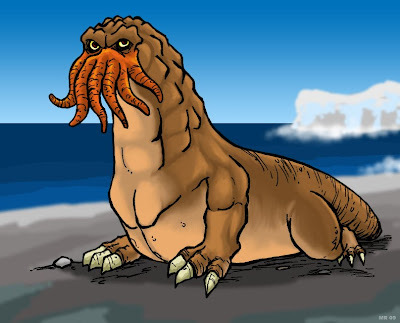 The Chuthseal has a series of strange tentacles hanging from it's facial area, which help the creature root through the muck along the bottom of the ocean for prey. They have also been known to hunt in packs like lions, and bring down far larger animals.